Thanks for the memories, Markelle. Photo by Matt Slocum/AP. 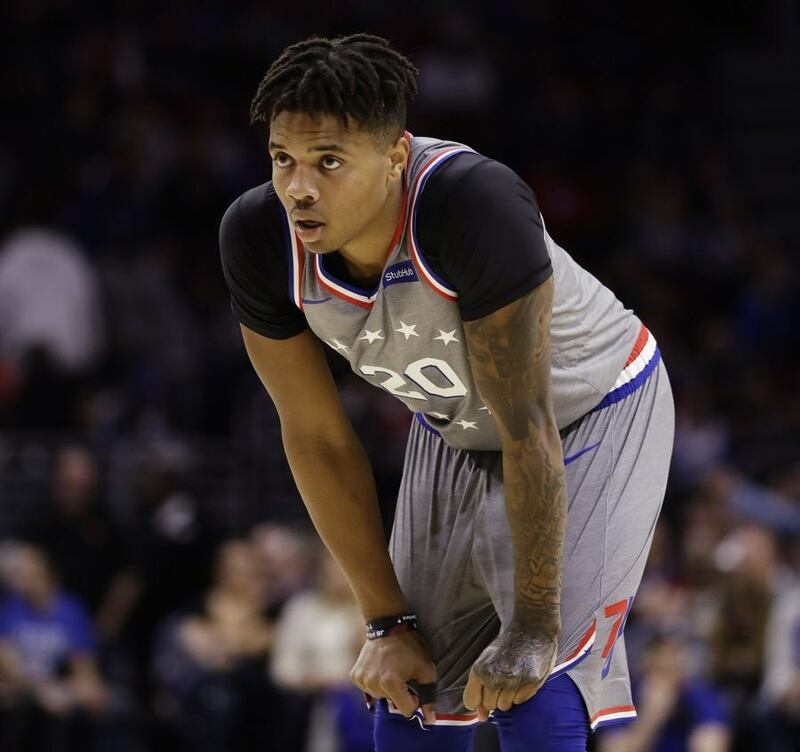 The Markelle Fultz saga — you know, the one where a 76ers number-one-overall draft pick seemingly forgot how to shoot a basketball — officially ended on Thursday afternoon. Fultz was traded to the Orlando Magic for some other draft picks and another player. File this one under Lenny Dykstra’s “Great trade, who’d we get?” school of thought — it doesn’t really matter what the return is. The point is that Fultz, who played fewer than 40 total games for the Sixers, is gone. We’d be remiss not to take this time to consider some of the other big Philly sports busts. Keep in mind: A bust is a very particular thing. It requires the hope of something magical, which then morphs into despair, or disdain, or disappointment. Imagine a kid staying up all night waiting to catch a glimpse of Santa Claus, only to find mom and dad eating cookies in front of the chimney and haphazardly doling out presents. That, too, would be a bust. Here then, are some of the worst of the worst. Just two years later, Allen was sentenced to 15 years in prison for first-degree sexual assault. Honorable mention: Nnamdi Asomugha, who signed a five-year, $60 million contract with the Eagles in 2011. Asomugha was part of an Eagles squad that proclaimed itself a Dream Team. In the end, it was more nightmare than dream: The team went 8-8 and missed the playoffs. This is a bust borne more of high expectations than of poor performance. Forsberg was inducted into the NFL Hall of Fame in 2014, in large part due to his years with the Colorado Avalanche. 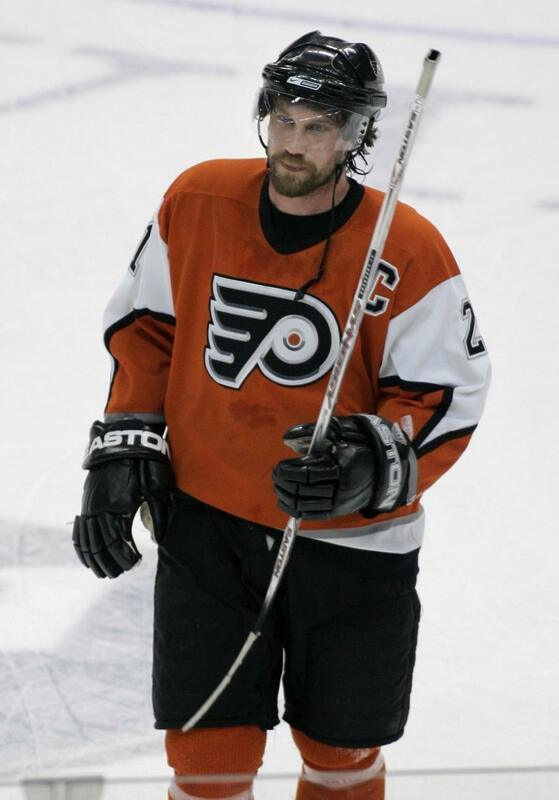 Forsberg had already won the MVP award when the Flyers signed him in 2005 for some $11.5 million. But his tenure in Philly was marred by a foot injury that even special skates couldn’t fix. Forsberg also has the dubious distinction of captaining the worst Flyers team of all time. 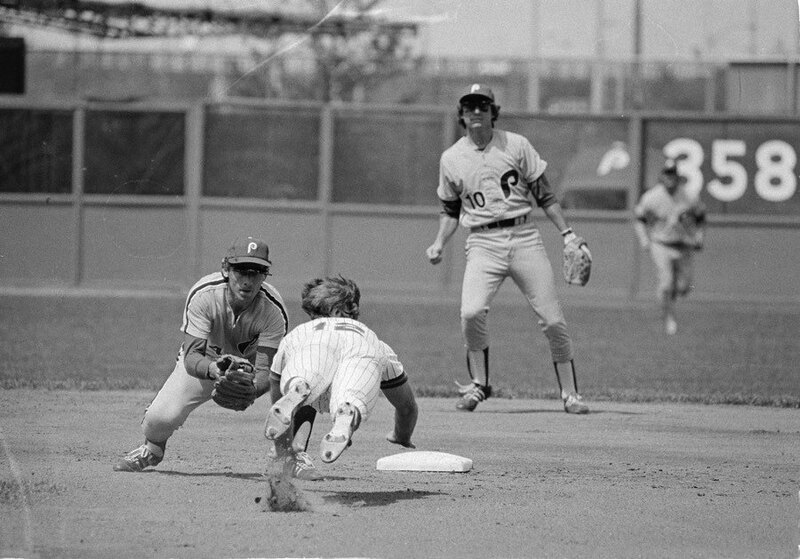 John Stearns only played one game for the Phillies. But here he is playing against them, in 1978! He was tagged out. Photo by Ray Stubblebine/AP. Honorable mention: Danny Tartabull. He signed a $2 million deal with the Phillies in 1995, coming off a 27-home-run season. He suited up for three games with the team, promptly broke his foot, then never played again. Freddy Adu actually scored a goal in this game! He’s still a bust, though. Photo by Ted S. Warren/AP. Remember Freddy Adu, the supposed savior of soccer in the United States? He played for the Union from 2011 to 2013 — and actually had one of the most productive stretches of his career, scoring seven goals in 35 appearances! So why is he a bust? Because the midfielder, who signed his first pro contract at 14 years old, was already a bust by the time he arrived in Philly. Remember: MLS was a significantly worse league back in 2011. Adu was destined for better things. 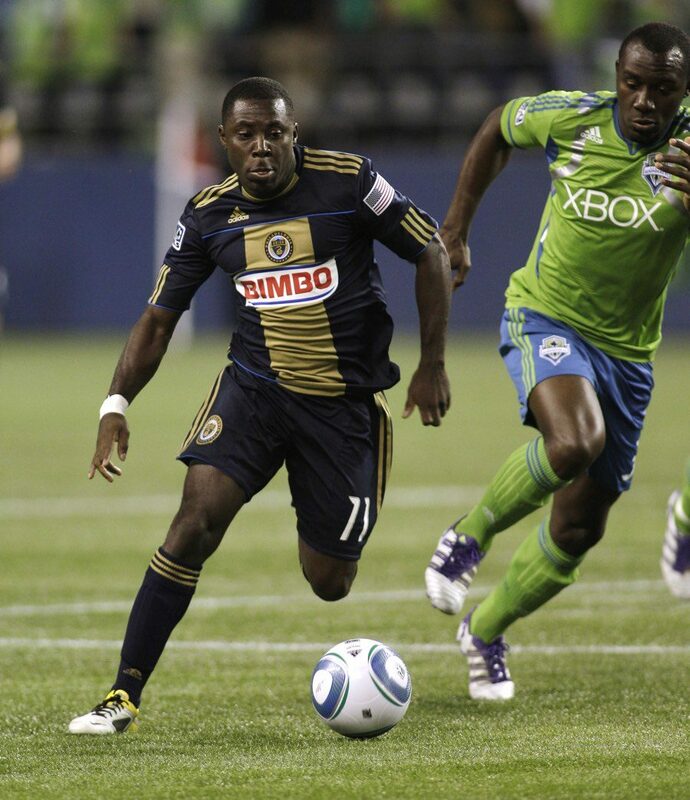 Not that Adu’s career at the Union ever really changed his career trajectory. In 2015, Adu found himself playing for something called KuFu-98, a squad that appears to have spent most of its history in the fourth tier of Finnish soccer. A very tall Shawn Bradley greets NBA commissioner David Stern after being drafted by the Sixers. His time with the team was short, but he stayed tall. Photo by John Discher/AP. 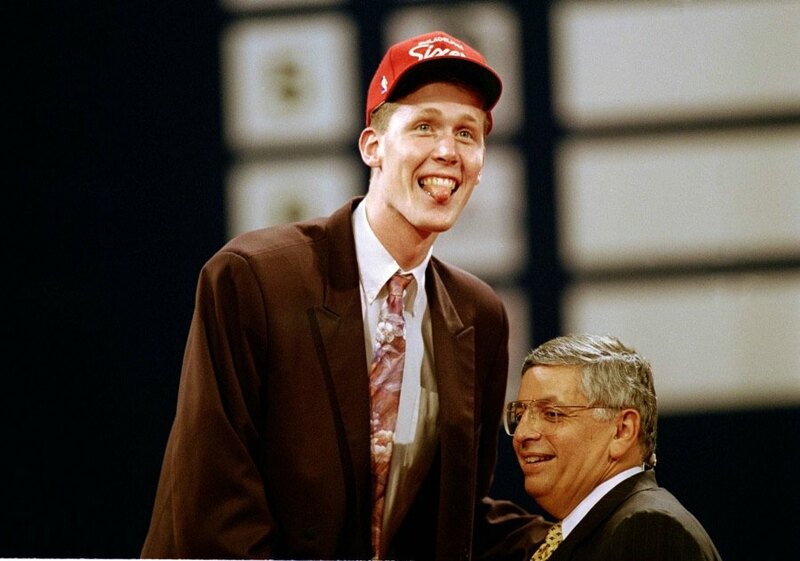 The 76ers selected 7-foot-6 center Shawn Bradley with the second overall pick in the NBA draft. Bradley ended up a solid veteran, playing in the league for more than a decade. But this was a bust-worthy pick more for who the Sixers passed up in order to take Bradley. We could have had Penny Hardaway instead. More recently, the Sixers traded for the injury-prone seven-footer Andrew Bynum in 2012. You need to know only two things: He never played a game for the team, and he exacerbated one of his many knee injuries while bowling. Speaking of really, really tall people: The Sixers just traded for another one this week. His name is Boban. He is 7-foot-3. Here’s hoping he doesn’t join a future version of this list.